While the word “Chutney” is universally used, the word itself and the concept of this condiment is loaned from India. In general terms, Chutney can refer to anything from a simple relish, to pickles or even preserves and can be sweet or savory or a combination of all. A Bengali meal is incomplete without a Chutney, which is usually fruity and sweet and sometimes a combination of tart and sweet with a hint of spicy. And the Chutney or Chaatni (as we like to say it) elegantly ends the meal. Unlike in most other states in India, Bengali Chutneys are not usually eaten along with the meal; they are almost like a dessert, satisfying the sweet craving at the end of a big meal. The people from Bengal are known to have a sweet tooth (and I would like to add, that we are truly sweet and nice too 🙂 ) . And the way the Chutney is enjoyed is actually by licking your fingers clean. Yes touch the food, eat with your fingers. A traditional Bengali Chutney is made with seasonal fruits – tomato, mango, pineapple, tamarind, raw papaya or whatever you can think of. The chutney made during the weddings are often a classic combination of Aamshotto (Ripe Mango Fruit Leather) and raisins. My ma would have a special hand painted blue bowl to serve/store the Chutneys she made. I have that now, but more as a keepsake. However we do not need to adhere to the routine of having a Chutney only at the end of the meal, do we? 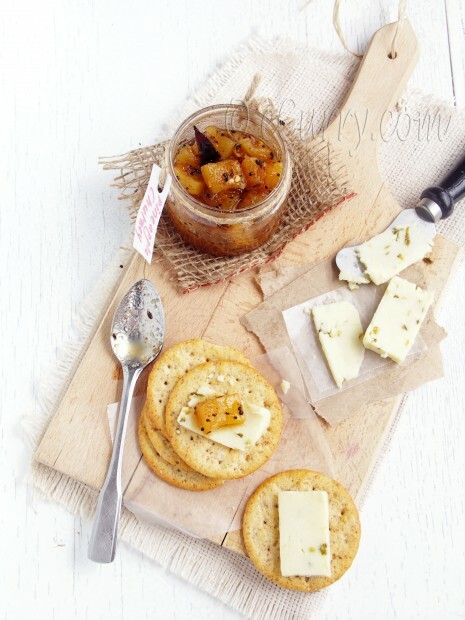 I love pairing sweet and spicy Chutney with some spicy pepper jack cheese and have it on a cracker with some good wine or simply smear it indulgently on a slice of warm toasted bread. These sweet and spicy kind complements spicy grilled food too well to pass. 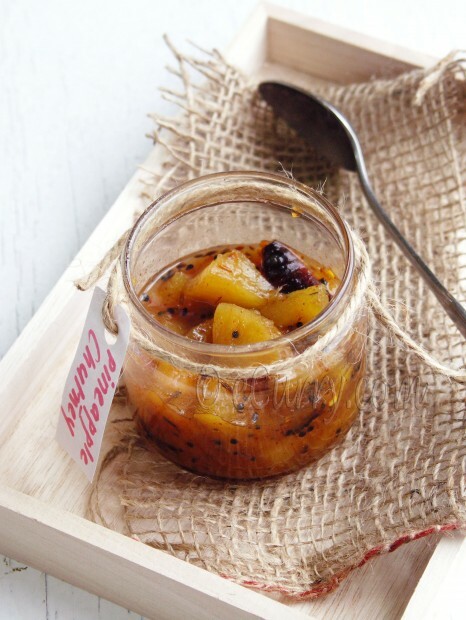 This is a traditional recipe of Pineapple (Anarosh) Chutney using Panch Phoron or the Bengali Five Spice mix. The recipe is all too simple and the chutney is seasoned twice, once at the beginning and then again at the end when cooled. I have used fresh pineapple here, but the canned pineapples work pretty well too. If you are using canned pineapples, you the liquid instead of the water and adjust the sugar as the liquid already is sweet. You will get the best texture if you use part crushed pineapple and part diced, but there is no restriction. The spice/heat and the sugar content is as per our taste. Feel free to adjust and fine tune to your taste and style. The mustard oil used here; and even tho’ in a tiny quantity, this oil imparts really lovely smoky flavors along with the spices. Try not to skip the mustard oil, but if it’s not at hand, substitute with any cooking oil. 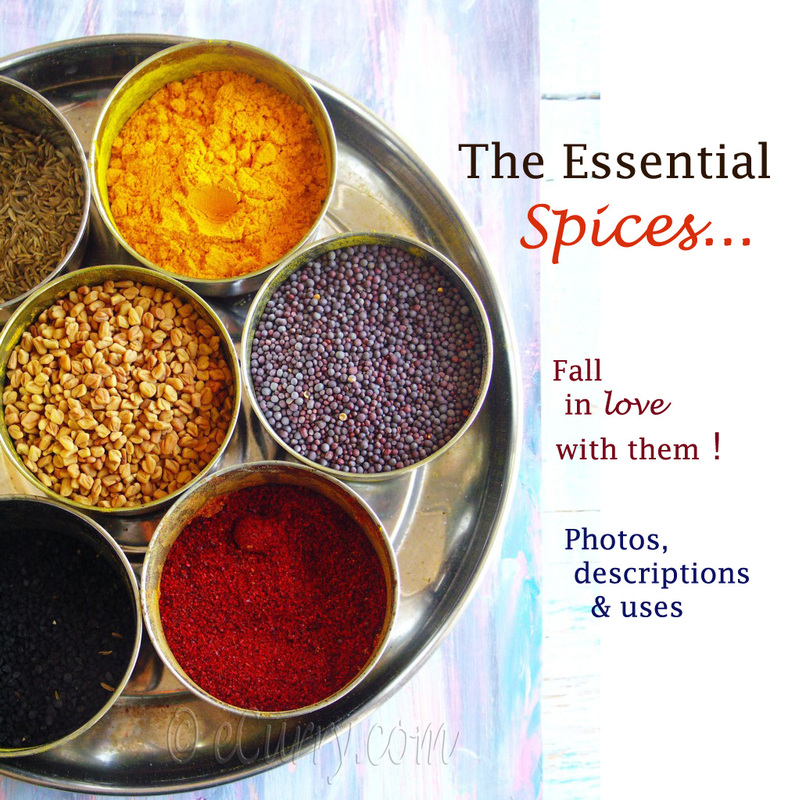 *panch phoron = cumin, fennel, mustard (may be substituted with radhuni/celery seeds) methi/fenugreek and nigella/kalonji/onion seeds combined – each in equal measurement. Heat a pan/pot and add the mustard oil. Let the oil get to smoking hot. Switch off the heat and let it cool down. Switch on the heat and add the Panch Phoran and the red dry chili pepper in the oil, and fry them till they are turn a shade darker and start to get fragrant, for about a minute. Combine sugar and water. Lower the heat and pour the sugar water into the pan/pot and bring it to a boil. Add the lemon juice, salt and the ginger, diced pineapple and raisins (if you are using them) to the pan/pot and cook till the pineapples soften (they will still hold their shape) and the water gets syrupy and thick enough to coat the pineapples. This should take about 30 – 45 minutes. Half way through cooking, lower the heat and partially cover the pan. The consistency should be like a preserve, but the diced pineapples still holding their shape. Any liquid left should be thick enough to coat a spoon. In a skillet, dry roast all the spices above (for tempering) except the red chili powder, till they are fragrant and a shade darker in color. It should not take more than 2 minutes. Cool and add the red chili powder to the roasted spices. Grind them to a powder in a spice or coffee grinder. This is called the Bhaja Moshla (Roasted Spices). Add about 1 tablespoon of this ground spice to the cooled chutney and stir to combine. (If there are any leftover spice powder, store in a container in a cool place for later use). Store the cooled chutney in a clean air tight jar/bowl in the refrigerator. It will keep for 2 weeks. Had never thought of Paanch Phoron beyond Aloo Gobi. You have opened a new door to the pineapple world! I’m surely making this next time I get pineapple, if notfresh, canned it is. More than eating chutney’s I like making them. The whole process of making ,canning and preserving is therapeutic for me. P.S. LOVE the food styling. First of all, I have to let you know how beautiful these photographs are. Amazing! And the chutney sounds delicious. this looks awesome and delicious.. 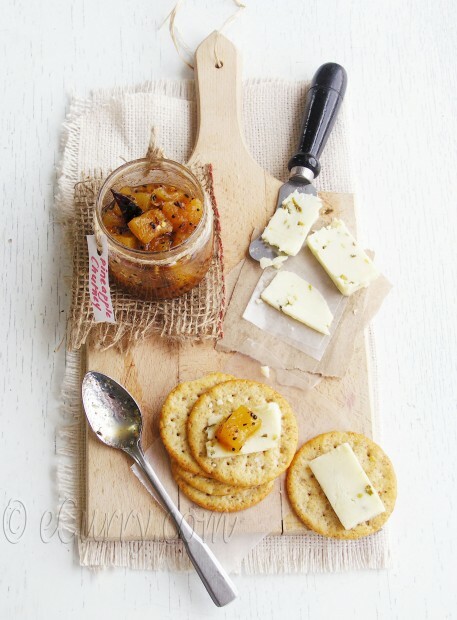 I love chutney and have been eating that speciality since a very tender age…. It is perfect with cheese. Yours looks beautiful and so good. I have a ripe pineapple sitting on the counter top. This chutney is going to be made pretty soon. My neighbour M Aunty prepares something very similar to this with mangoes. I haven’t had this with paach phoran yet. Such a simple and tasty recipe! This is a very super recipe…I love the panch phoran flavour and I can almost sense my mouth watering looking at this delicious delight. Soma…I adore the food styling for this post. Excellent. I have never tasted or even heard of pineapple chutney- only mango. But I can almost taste it in my mouth from your desccription and post. Delectable! Chutney ta dekhte khub bhalo hoyeche. Aami kono dino ghore pineapple anine karon aamar husband like kore na. Tomar ta dekhe aamra khub khete icche korche! Oh Soma, I love this, it looks so delicious and I love that you’ve presented it with cheese. I love chutney with cheese. What a great recipe. I will have to try this. Really great presentation of the chutney – love the photo! 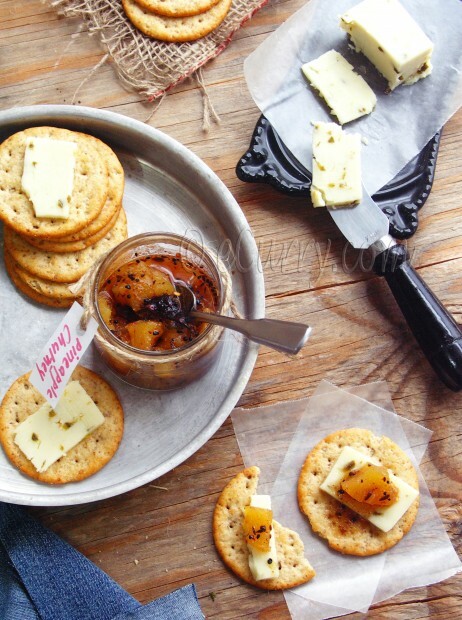 I make this chutney with unripe mangoes and it turns out really delicious too. Great presentation…and l like with the photos..
Hey! Do I see a curry leaf in there? Are you holding back on the secret ingredient, Soma? No No Dave, there is no curry leaf in the recipe! I promise. Use of curry leaf is totally non existent in authentic Bengali recipes. I think what you see is the browned red dry chili pepper. 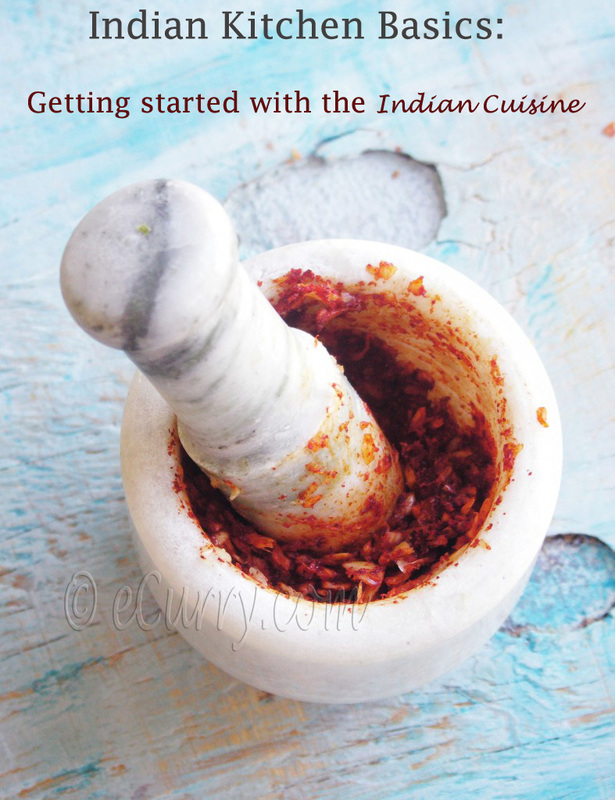 I would never hide an ingredient:) – my goal here is to share it the exact way I do it:-D This chutney has very smokey kind of flavors and no herbs at all. Whew! My faith is restored. Forgive my insolence. I will never doubt you again. actually I think it is the photographs .. not clear enough and I have to admit here that I had too little left before I could shoot some photographs. I dumped the few spoonfuls in a baby food kind a jar. In the close up shot, the pineapple had been lifted with the spoon at the eye level and in the process the chili pepper might have disappeared underneath. (actually it does show a tiny bit on the right hand side) of the second picture. Pineapple is never my fruit! 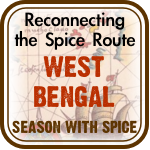 but spiced version sounds soothing for me to give it a try! Blend of tangy, spice and cheese heaven! This looks delicious. Will definitely have to try it out! Ah, khub bhalo! Anarosher chutney amar shob shomai favorite! Thanks for posting this recipe! I have to try and make it. As soon as I saw the name I knew a ‘bong’ was at work here. 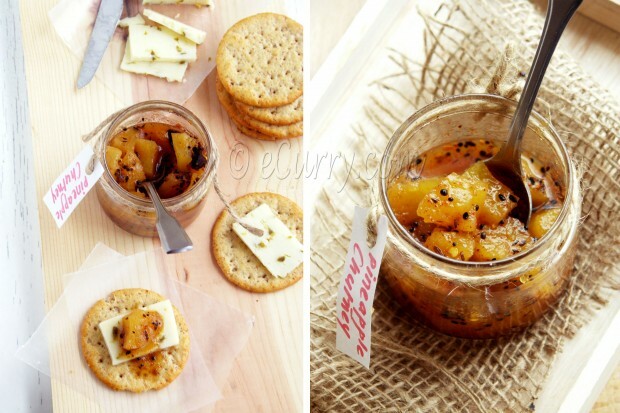 Indian Spiced Pineapple Chutney it’s very good i really like it. This sounds delicious, and I’d like to make it for our Christmas gifts to friends and family this year. Thing is, I’ve no idea what the UK weight conversion is for the cup measurements. Can anyone help?! hope this helps!! have a wonderful holiday! 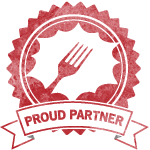 The recipes are incredibly good and especially illustrious of its rich heritage… You seem like either a complete pro or someone who’s very passionate and instinctive about cooking. Thank you for sharing such brilliant recipes and experiences, they are highly valued for this bengali food craving south indian stomach of mine. its realy delicios.. I hadnt read ur recipe earlier jst tried it myself….. Bt its d same just i hadnt used watr… D consistency became littl thickk…. This looks so good. And I am a huge fan of pineapple. I am going to try this. I have a question though. 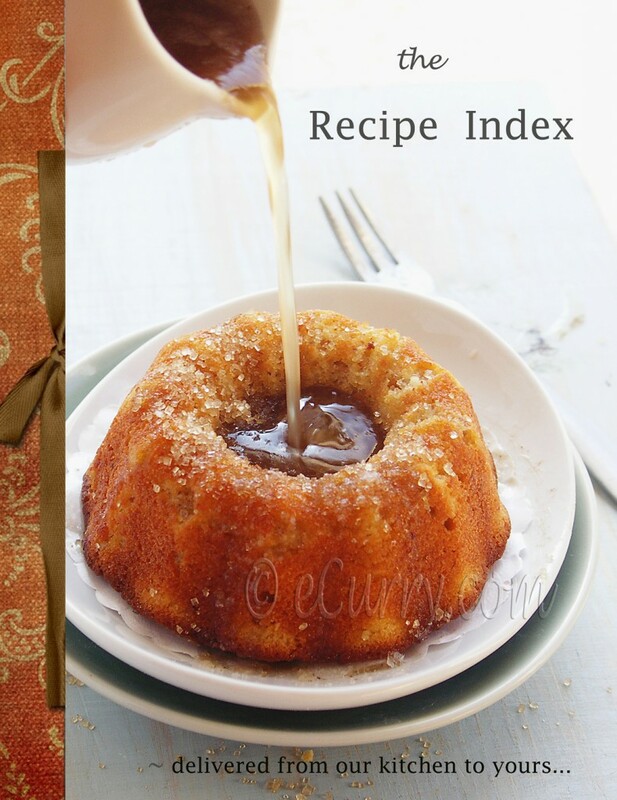 Can I ‘Can’ this recipe ?